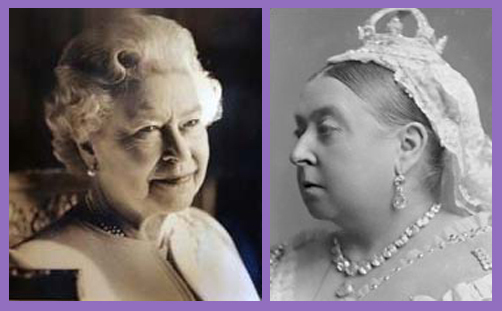 Today, 9th September 2015, sometime around 5.30pm, Her Majesty Queen Elizabeth II becomes the longest-reigning monarch in British history, beating the record previously set by her great-great grandmother Queen Victoria, of 63 years, 7 months, 2 days, 16 hours, and 23 minutes; who herself beat the previous record set by her grandfather, King George III, who reigned for 59 years, 96 days, sundry hours and unknown minutes. The tributes have been bountiful; the appreciation abundant, and esteem effusive. They talk of untiring duty and tell of faithful service. They speak of warmth, honour and compassion, and proclaim loyalty, pride and devotion. It is a time for national rejoicing, bell-ringing, trumpet fanfares and bonfire-burning the length and breadth of the United Kingdom of England, Scotland, Wales and Northern Ireland. Queen Elizabeth II has steered the good ship Monarchy from the moral gloom of post-war austerity to the postmodern indulgence of moral relativity. Her cheeks have worn, her costumes modified and her progress morphed to each decade, but eyes have never dimmed, and the radiance of her faith has been constant. She has survived by the Grace of God, and carried her country, commonwealth and church with her. Throughout her Kingdom and Dominions beyond the seas, millions upon millions of postage stamps, coins and banknotes have borne her likeness as a symbol of all that is good, noble, true and virtuous. Through an era of unprecedented change and social revolution, she has been a rock of majesty; an anchor, compass and counsellor to 12 prime ministers and seven archbishops of Canterbury. When it has rained, her sun has shone because the Son dwells in her heart, transforming to the likeness of saintliness, servanthood and sacramental kingship. You may think all this smacks of obsequious fawning and sycophantic hyperbole: you know nothing of the image of God. She has no Empire, unlike her great-great grandmother, and yet she is imperial, bestriding the narrow world in an absolute reflection of unparallelled sovereignty and matchless blessing. Princes, prime ministers, presidents, popes and potentates have come and gone. She, with steadiness and supreme statesmanship, endures. And we – the new Elizabethans – love her. Our royal cup overflows with joy and delight. Her popularity may occasionally wain, but the love does not dim. On her throne or on walkabout; shaking hands with kings, commanders or school cleaners, she embodies the essence of the Prince of Peace. God knows what history will make of her reign: the first Elizabethan age was golden: an era of stability, Shakespeare, via media settlement and global expansion. This second Elizabethan age is prosperous and peaceful; individual and technological; fractured and terrorised. At least that’s how it now seems: historians will doubtless imagine differently. But as the noise of this magnificent reign has shifted from the wireless to the worldwide web, Elizabeth II has been permanent, constant and consistent. In commemoration of the Queen becoming our longest-reigning Monarch and longest-serving Supreme Governor, the Church of England has issued special prayers. We pray them now in love, with gratitude, honour and pride. Almighty God, who hast set our gracious sovereign Queen Elizabeth upon the throne of this realm, and given her to surpass all others in the years of her reign: Receive our heartfelt thanks for her service to her people, confirm and encourage her in the continuance of the same, and keep her in thy heavenly wisdom; through Jesus Christ our Lord, who took the form of a servant for our sake, and reigneth now in glory with thee and the Holy Spirit, one God, world without end. Almighty God, whose Son Jesus Christ exchanged the glory of a heavenly throne for the form of a servant, we thank you that you have given Elizabeth our Queen a heart to serve her people, and have kept her devoted in this service beyond all who were before her: encourage us by her example to serve one another, and to seek the common good, until you call us all to reign with Christ in your eternal kingdom.